Looking over the history of the BMW 3 Series, you’ll notice a lot has changed since it was initially launched. The iconic nameplate that created an entire new segment when it first came out has gone through 43 years of production so far and is now in its seventh generation. Back when the original was launched, the world didn’t really associate the words ‘sporty’ and ‘sedan’ as a good mix but then again, if there’s anything BMW has proven over the years, it’s the fact that preconceptions are not to be tolerated. 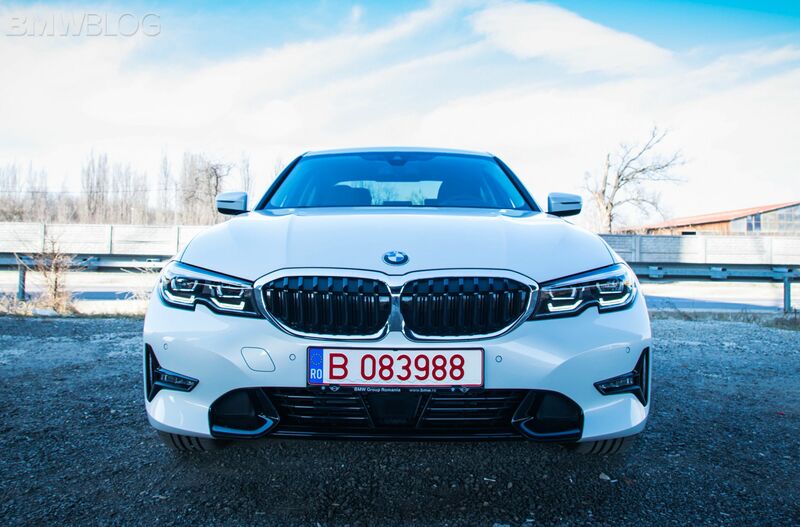 Therefore, Bavarian engineers managed to create a light, rear-wheel drive compact sedan that was fun to drive and offered a premium experience on top of that. Before the 3 Series came out, you couldn’t have all of those features combined into one car. Admittedly, at first, the ‘sedan’ part was a bit hard to grasp as the original E21 was a 2-door model but it was marketed as a sedan nonetheless. Some would call it a Coupe but that’s a discussion that has been going on for over four decades and we won’t get into it again. What does matter though is the fact that the Germans stuck to their guns and what they knew best: refining recipes. It’s probably something in the DNA of people from Bavaria but they are an ambitious type, who like to have a great final product, refined over time with small increments. That’s the story of the 3 Series in a nutshell if you will: constant improvement over several generations. From the E21 to the E30 and then the E36, E46, E90 and then F30, every new generation built atop what the previous one was offering. Everything is taken to a new level when a new 3 Series comes out and for good reason. As the inventor of this segment, the 3 Series has some responsibilities towards fans of fun, compact sedans: it needs to keep improving because that drives the competition to replicate this behavior and do the world a favor. Ever since the 1970s, the continuous feud between the 3er and its main rivals led to a number of advancements for the industry as a whole. Today, the 3 Series is probably being challenged the most it has ever been, with the competition as fierce as you could imagine. The usual rivals are still giving it the most headaches, the Audi A4 and the Mercedes-Benz C-Class being utterly magnificent cars, but then we also have models like the Alfa-Romeo Giulia biting at the rear end of the 3 Series as well as the Jaguar XE, yet another underestimated car that is pretty great as well. So how does the new G20 generation compare? The fact that the landscape has changed so much over the course of 40 years means direct comparisons don’t really work as well as they used to. Not long ago, say at the beginning of the 21stcentury, having a similar engine under the hood with around the same amount of power meant two cars from different manufacturers, playing in the same segment were direct rivals. The customization war we’re dealing with today though, and the new technologies launched year after year, make that process a bit harder. A car can feel completely different today even compared with itself, solely because of the optional features added to it. 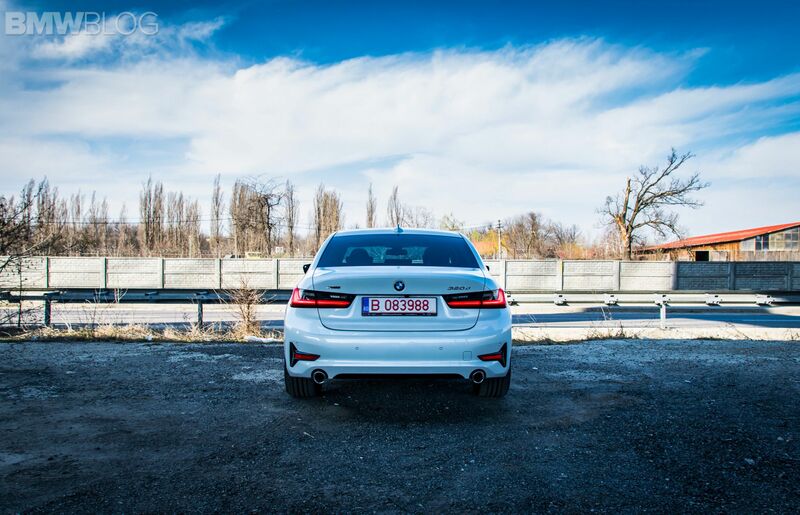 The new 3 Series is no exception. That’s quite apparent from the moment you configure your car. The exterior look can change quite drastically depending on the package you go for. When I first saw the 3 Series in photos, online, I wasn’t sold on it. The headlights were a bit off, reminding me of certain Peugeot models, the rear end reminded me of Lexus and the increased nostrils seemed like a bit of overkill. And yet, in real life, in the metal, the new 3 Series looks exactly as it should, like a logical, expected evolution. It feels more refined, more elegant and serious. To some, that may be a bad thing but the 3 Series is now over 40 and I think it fits it. And while the exterior may feel like an upgrade over the last model, it’s inside the cabin where the biggest differences can be noticed. 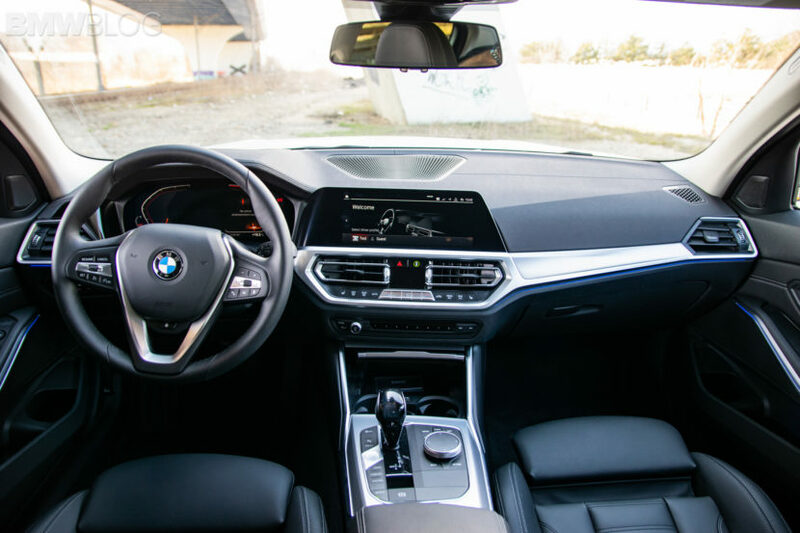 If there’s one thing that universally popped up as a negative comment in all the reviews written about the F30 3 Series over the years, it’s the interior. In all fairness, it feels like it aged prematurely. When the car was originally launched back in 2012, the interior design felt on par with the times but that was a flaw to begin with. When a new model that’s bound to be in production for 7 yeas shows up on the automotive scene, it should have a futuristic design in all areas, interior included, so that it can withstand the test of time. With the new 3 Series that’s been fixed. The interior of the G20 3er works in its favor and against other cars in the BMW range. Style-wise, it looks almost identical to what you see on the new X5, Z4 and 8 Series. In terms of overall design, differences are small, the four models being mostly differentiated by the materials used inside, but the lines are roughly the same. Therefore, the 3 Series looks on par with the 8 Series inside, even though the materials used are of different quality. Unlike on the 8er, the 3 Series has plenty of plastic inside but of great quality. Even the trims are made of plastic but they replicate various other materials rather well. You can’t get the Glass Package on the 3 Series, as one would expect, but you won’t miss it, I can guarantee it. 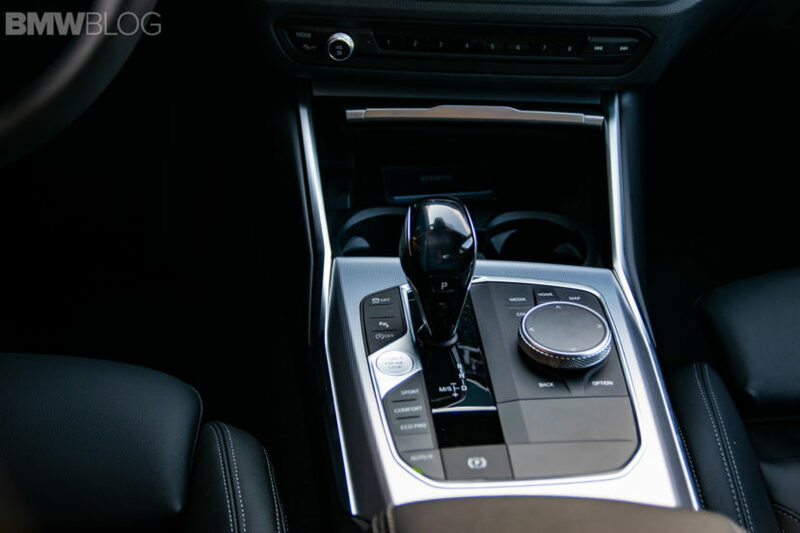 As a matter of fact, I like cars without the Glass Package because their iDrive rotary controller has a touch-sensitive surface you can use to input addresses and numbers in the infotainment system. The tech you can get on the 3 Series is also astounding these days. 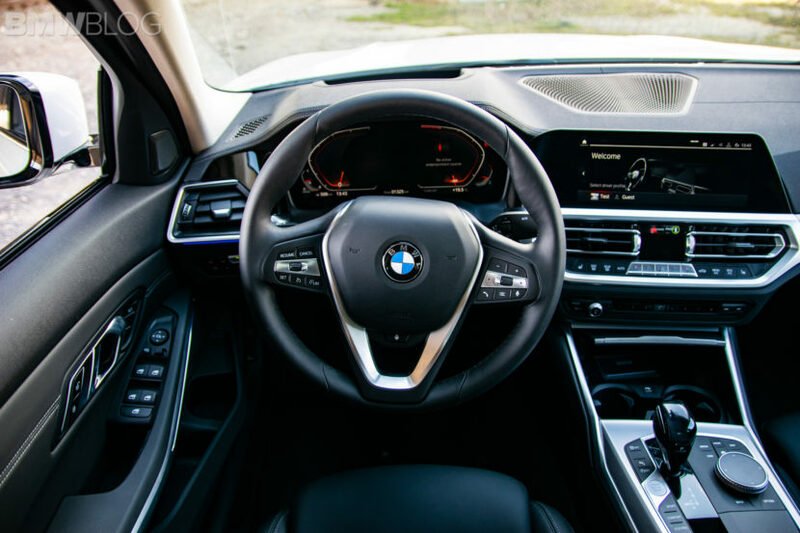 All the driving assistance systems are available, from lane keeping tech to adaptive cruise control, everything’s there if you’re willing to pay for it. 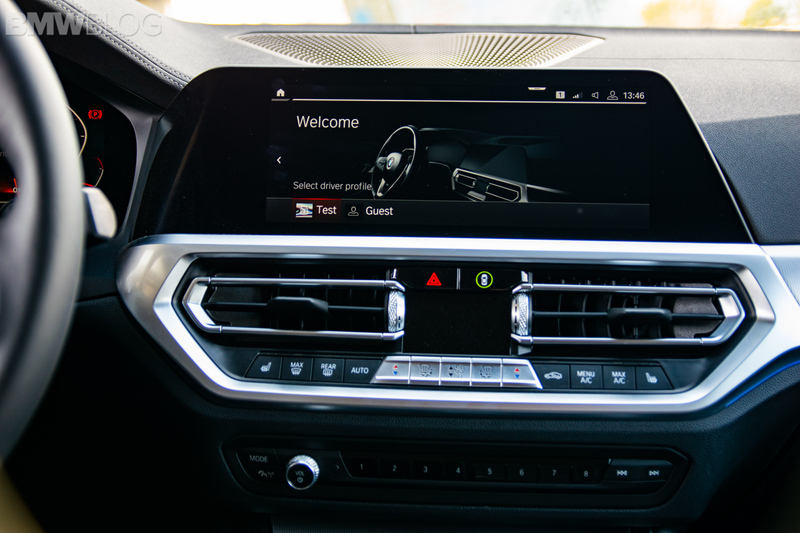 The new Live Professional Cockpit is also available, with the BMW Intelligent Personal Assistant and, what was a premiere for me, NFC access to the car. When the 3 Series was launched, a couple of clips published on Youtube showed us a fancy new way to use it, locking and unlocking it with your phone. Back then it looked like a pretty good idea to me but real-life showed me it’s not really that better overall. Our tester came with a NFC card that could be used to lock and unlock the car and start it. That card can be replaced by your phone but for logistical reasons I couldn’t test that feature. Instead, I tried imagining how things would’ve worked if I used my phone as a car key. The thing is, while it does allow you to leave your key fob at home and use your phone instead, it gets quite tiring after a while. That’s because in order to lock and unlock the car, you have to get your phone out and touch the driver’s door handle with it for a couple of seconds. That’s the only door handle that has the NFC sensor on it, so you have to use that one handle all the time. Then, once you’re in the car, you have to position the phone in the wireless charging slot in front of the cup holders to be able to start the car. I can’t begin to tell you how many times I unlocked the car, put my card back in my pocket, got inside and then remembered I have to get it out to start the damn thing. Also, when leaving the car, you have to lock it by doing the same thing, touching the handle with your phone or card. It’s basically as if you have a car without a central locking, remote key. Think, old muscle cars if you will, that had a physical, metal key you used to lock and unlock the car. There are good sides to this tech too though. The fact that you can give someone access to your car remotely is definitely a plus. Say you’re in the Bahamas and your son wants to use the car but doesn’t have a key because it’s on you. You get your phone out, give him access and you’re all set. However, in day to day operation, the Comfort Access Package worked better for me, with the car locking and unlocking just by touching the handle with they key fob in my pocket. The new 3er also can be fitted with laser lights now which will probably not be a popular option, since the standard LED lights are already pretty good and the price tag for the laser alternative is quite high. Inside the cabin you get beautiful ambient lighting in various colors and gesture control can also be had but, once again, I’m thinking most customers will pass on it. The standard Hi-Fi audio system is quite good actually, and I would think twice before upping to Harman/Kardon. I’m an audiophile and the difference between the two lies mostly in volume, as the Hi-Fi system has a balanced, warm sound to it, but not enough power in my view. If you want more though, just check the 900 EUR tab next to the HK system and you’ll be set. There’s also more room inside the 3 Series according to the press release but, to be honest, you don’t really see it. I’m 6-ft tall and, with the driver’s seat adjusted to my preferred position, I do fit inside without touching the roof or losing parts of my legs but that’s about it. I can’t say I noticed an observable increase in space, to be honest, compared to the F30 3 Series. 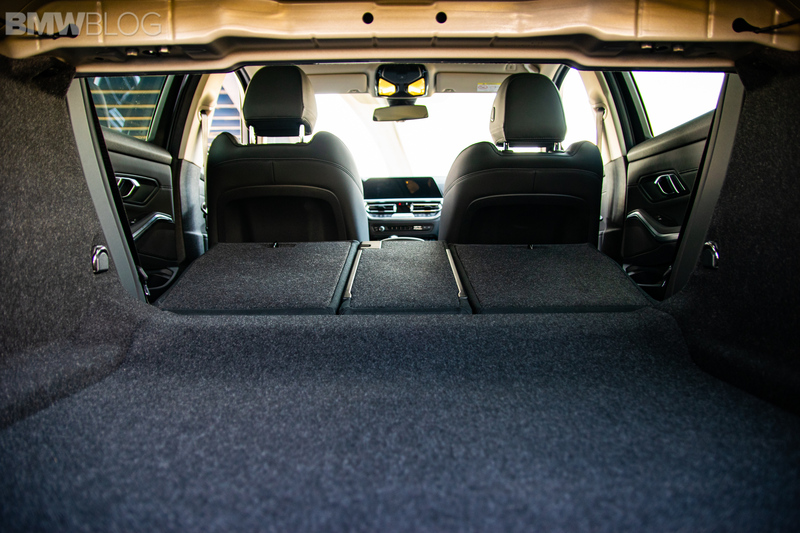 The rear seats can fold to get more storage space, while the boot measures 481 liters for luggage. You can get so much technology on it that the experience you get in a base model can be drastically different to the experience a top-spec version implies. Therefore, when discussing rivalries and even performance to some extent, one now has to take the spec sheet into account. 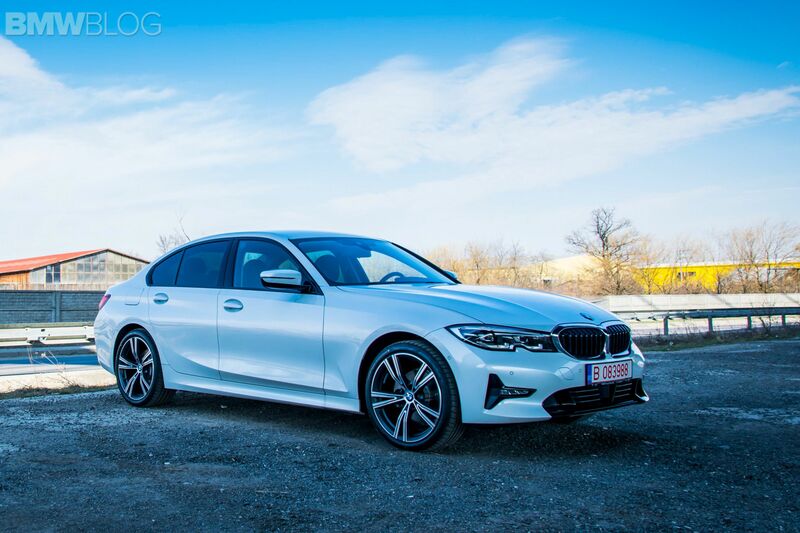 After driving the 330i on a couple of occasions, we are now looking at what has set the benchmarks in the BMW 3 Series range over the years in terms of sales and popularity: the 320d. Numbers aside, drive one and it will become even more obvious why you wouldn’t need more car on your daily commute. The 320d is a best-seller for a couple of very obvious reasons, the most important of which is the balance it brings to the table. In Europe, the 320d won’t even be the cheapest model you can buy, that claim probably going to a future 316d or 316i model. Thus, the 320d will be finding itself somewhere in the middle of the range, the perfect spot for it, if you ask me. For the 2019 iteration, the engine under the hood was basically kept intact compared to the F30 generation. Yes, we’re still dealing with the B47 2-liter 4-cylinder diesel mill that’s basically the workhorse of BMW in Europe. It delivers the same 190 PS and 400 Nm (295 lb-ft) of torque we’ve gotten used to. But on the G20 model it feels a bit more refined than before and I’m ‘blaming’ that on the added sound deadening installed on the new model. All cars can now be equipped with better sound-proofed windows up front and they do work miracles most of the time. Some would complain that it makes the interior of the new 3 Series too muffled but who wants to hear a 2-liter diesel engine anyway? 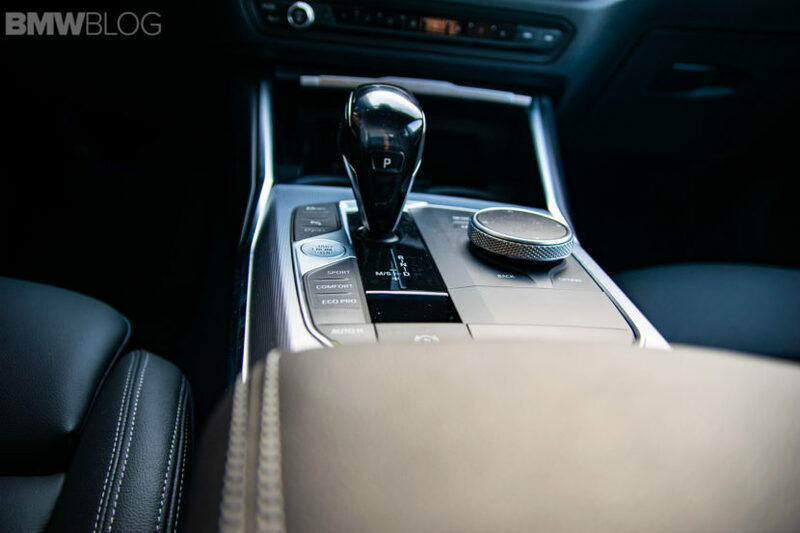 It’s also a balanced mill that works flawlessly with the 8-speed automatic gearbox we had on our tester. Mind you, the 6-speed manual choice is still available while xDrive – which we had – is not really necessary. I’d go for a good set of tires for the snowy season and drop all-wheel drive as it does add a couple of kilos to the overall weight of the new 3er. The good parts of this configuration? Where do I begin? 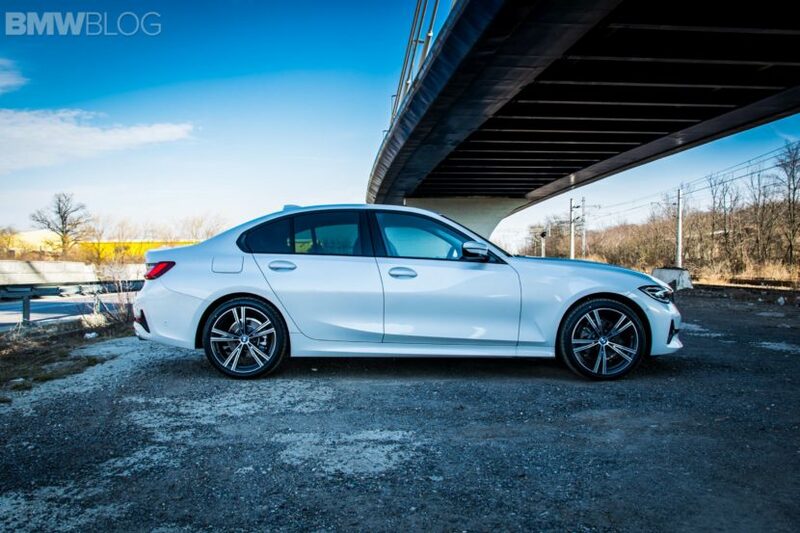 Driving the 320d even for half a day reveals why this is the top pick in the range and it’s all down to a great mix of power and frugality, torque and efficiency, fun and responsibility. The fact that the engine has a twin-scroll turbo helps out a lot, as all the torque it can deliver comes on pretty quick. Push it a bit harder and the torque replies by creating a perfect replica of the seatback on your backside. Don’t get me wrong, I know 400 Nm of torque is not an incredible figure by today’s standards but it is enough on a car of this size. BMW also wanted to make sure that the new 3 Series is a dynamically potent car and thus invested heavily in the way it handles the road. According to official claims, the new 3er has 50 percent more torsional rigidity and you can feel it when driving the car. On normal roads, in day to day traffic that won’t huge percentual increase won’t make a huge difference but in order to make it shine you have to take the car out on some back roads. That’s where you’ll notice it handles twisty turns a whole lot better than the F30 generation which felt heavier and bit slower to respond to your inputs. Not anymore. The 320d and its 2-liter engine is actually quite fun to toss around. 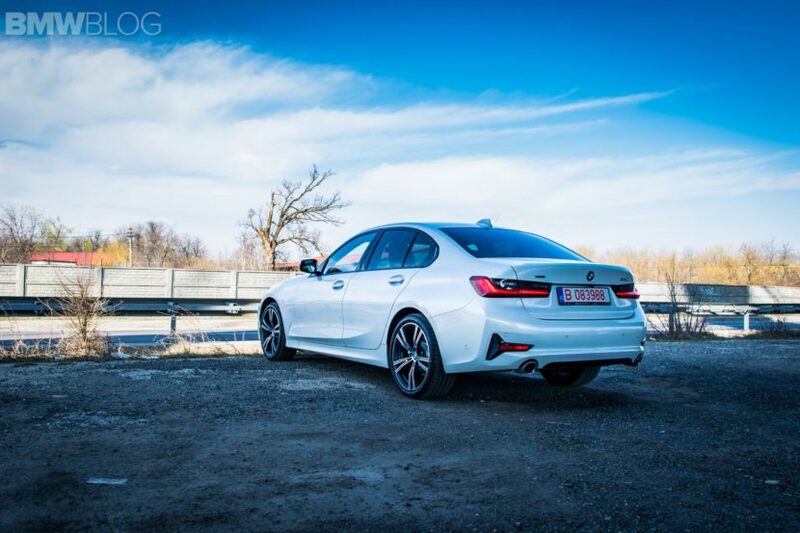 The rear end will start skidding if you want it to, even with xDrive that, in this case, is a RWD-biased setup. Getting the tail to misbehave is one of the ways the new 3er will put a smile on your face. The fact that you can do it with a car that can also cover over 600 miles (900 km) on one tank is just the cherry on top. Because yes, the new 320d is even more frugal than before. During my time with the car I saw an average fuel consumption of 6 l/100 km (39 mpg US/47 mpg UK), split around 8 l/100 km around town (29 mpg US/35 mpg UK) and 4.5 l/100 km (58 mpg US / 70 mpg UK). Those are very good figures for a car that tips the scale at over 1.5 tons and has 190 HP to play around with. Another novelty announced by BMW in the driving dynamics department are the new lift-related dampers. They are supposed to adapt to the driving conditions better than ever without the driver having to do anything. They feature both main and auxiliary springs and new internal hydraulic bump stops, which are capable of progressively increasing pressure inside the shock over bumps, while also progressively adjusting rebound. This new suspension setup stages compression on both compression and rebound which should allow for a finer-tuned, more controlled ride. The theory sounds good but do they actually work in real life? In short: yes. 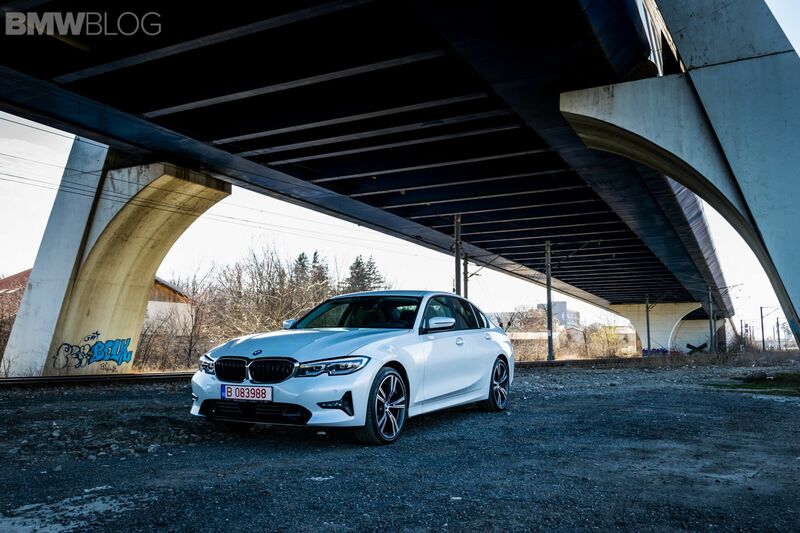 The new 3 Series absorbs bumps in the road better than before but you’ll have to be careful about the way you configure it. Initially, I thought the new 3 Series has a noticeably stiffer suspension than before and that it may just be too rough for some people. While the car’s weight was kept in check beautifully in corners, I pondered whether the trade-off might be just too much. Then again, the comment about the way a car changes depending on the optionals installed on it showed why it’s relevant. My baseline reading was an F30 fitted with adaptive dampers, in Comfort mode. 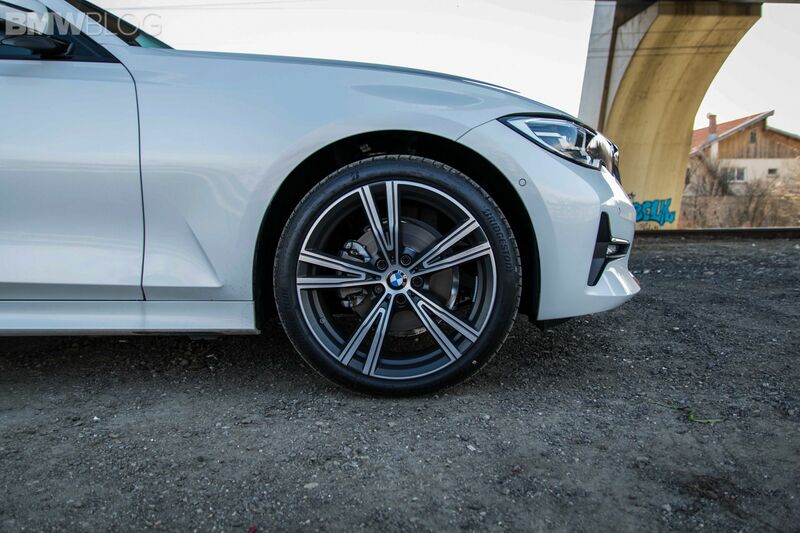 And yes, the F30 in that configuration is slightly more comfortable in day to day traffic, over potholes and uneven surfaces but it also gives you the feeling you lack control over it. It’s a more laissez-faire feeling, if you will. My G20 tester was a 320d with the standard, non-M Sport, non-adaptive suspension, riding on 19” wheels and runflat tires. Therefore, when also taking into consideration the added stiffness of the chassis, not a lot could be expected in the comfort department. And yet I was impressed of how comfy it felt. It also handled corners brilliantly, showing where these lift-related dampers truly shine. The biggest difference can be felt when you have some added weight inside the car, say three passengers. 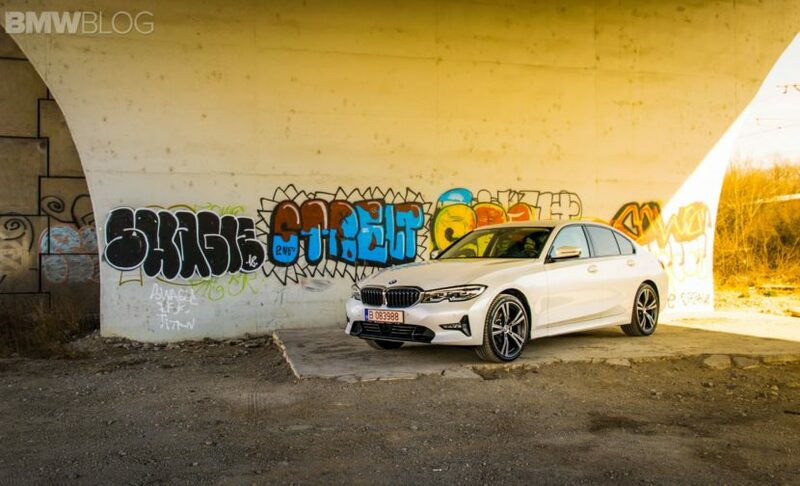 Whereas the F30 model would lean quite noticeably in a corner, in spite of its adaptive dampers being set in Sport mode, the G20 handled things with more grace, feeling almost as planted as when driving with the car empty. A truly impressive feat achieved by BMW considering these are the standard, non-adaptive dampers. Overall, in true BMW 3 Series fashion, the ride is a bit on the stiffer side of things, so the C-Class would probably still feel like the more comfortable choice, but when it comes to carving canyons, even in 320d guise, the new 3 Series sets itself apart from the competition, once again. But surely there must be some downsides too, right? Well, not many and, to be honest, I’d just be splitting hairs bringing them up. Shortcomings include a crowded rear bench and a stiff ride on 19” wheels but, as I said, they are not exactly instant turn offs. There’s actually only one major issue I have with the 3 Series and the 320d I drove, in particular: the price. As you probably figured out already, it’s pretty high. The tester we had started at 43,459 Euros and ended up costing a staggering 63,823 Euros. Call me crazy but that’s too much for a 3 Series with a 2-liter 4-cylinder diesel engine under the hood and you simply can’t convince me otherwise. To make things worse, this wasn’t even a fully-decked model, some options missing from the 2-page list of equipment. We didn’t have all the driving assisting tech available for the car on board, we didn’t have the top-notch HK sound system, no gesture control and no laser lights. And yet, the price tag was still nearly 64,000 Euros. Whether it’s worth it or not, it’s your call, and yes, you can probably get it cheaper if you don’t tick a lot of options, which can totally transform your experience with this car. 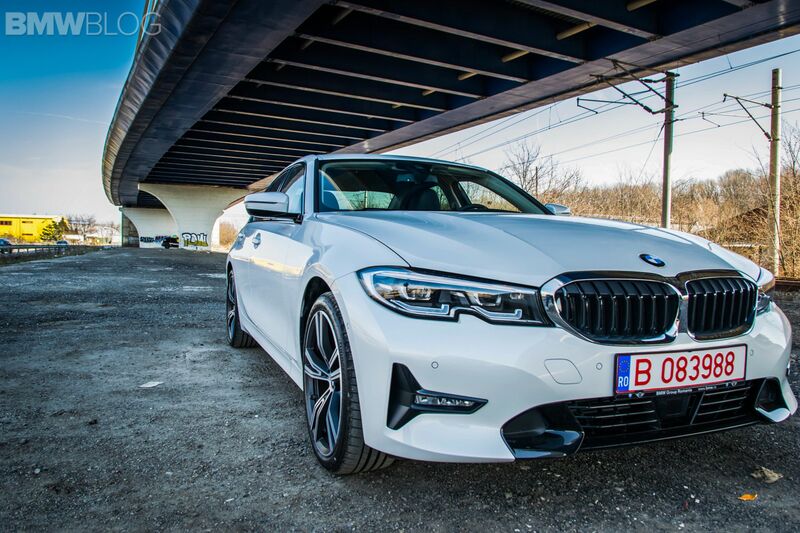 Pecuniary issues aside, to sum it all up, it seems like the new 3 Series is now about to reclaim its throne, after the old version grew old and was surpassed by newer models. It’s too soon to claim a clear victory over its age-old rivals though and we still have a bit of rummaging to do to decide on that. 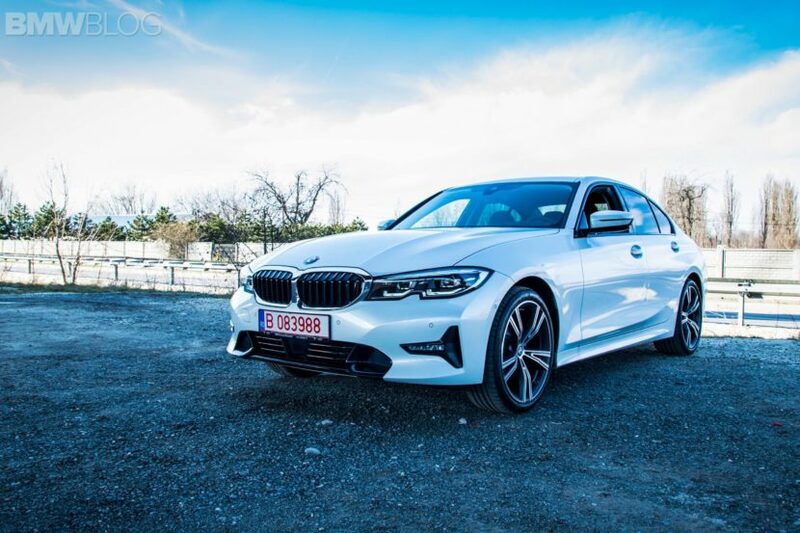 However, there’s a lot to work in favor of the new 3 Series; from the abundance of technology infused in it – albeit at a cost – to the way it drives with the standard suspension and the new interior, the G20 3 Series is an impressive overall package. As expected, BMW delivered on what we were promised for the new 3er. It’s such an important car for the Bavarians, they couldn’t afford to strike out and this car proves to be a complete, sharp package that may very well signal a true return to form for BMW.